Every writer looks forward to hear from her/his readers. Today morning when I checked Facebook at 6.45 am, I was pleasantly surprised to see a post on my timeline and happy tears filled my eyes immediately. Author Shrruti Patole Clarence had stayed up till two am to finish the book. According to her, she couldn't put down the book till she finished reading it. This is what she posted on my Facebook time line. 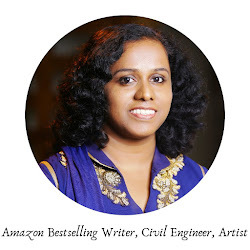 In the afternoon when I talked to Gayatri Aptekar, another accomplished writer, blogger, story teller and artist, I again floated onto cloud nine. 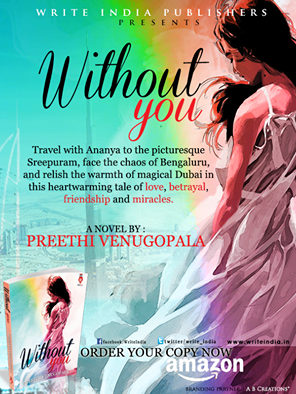 She said she finished reading 'Without You' in a single sitting ignoring the hungry protests from her stomach and even her darling daughter. She has written a full length review about it on her blog. "This book has everything that a bibliophile looks for, simple language, nice narration, drama and a good story. If you are looking for something light to read on a flight or train journey, then this book is a perfect companion. And yes if you have ever been in love or felt the light touch of love, then I do recommend reading this book. It will surely take you down the memory lane and you will fall in love, once again." There is a contest happening on Facebook page of the book and my own personal page, that offer a chance of winning free books worth 500 Rs till the 12th of this month if you order my book. 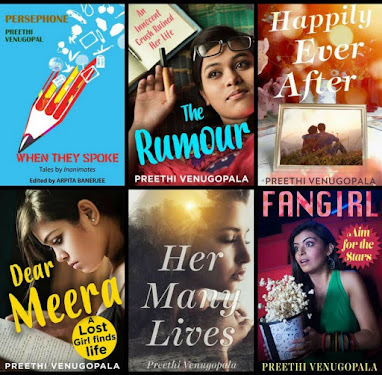 That's awesome review, Preethi. You are a terrific story teller and congrats. Thank you Vishal for the kind words. Wow, awesome. You are so talented. 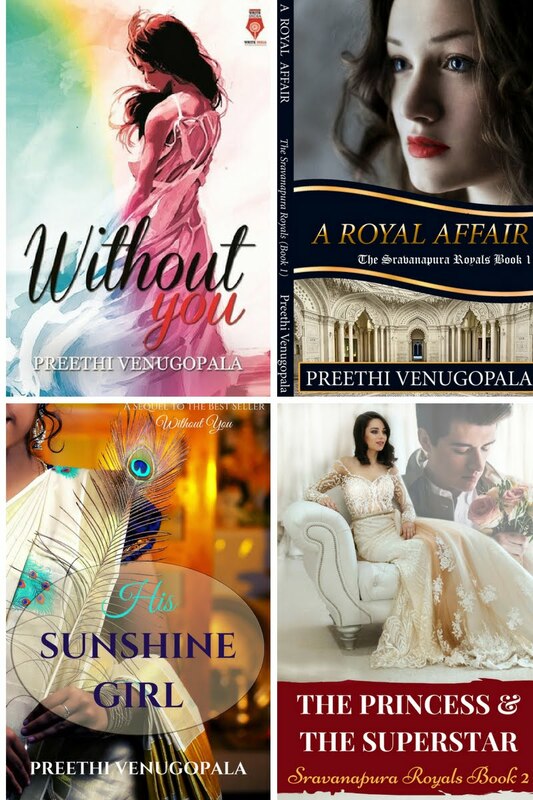 I came to know about you from 1 blogger (Saumya- That is also via via..) But I would love to read your book after reading review. I like to read love stories, Fiction stories. I am sure I'll love your story as well. I have little daughter so I can not read in a day but after reading reviews, I have to buy and finish in night. Desperately waiting for it. This is a pencil sketch I did of Lord Krishna as a baby. I got it framed and kept it in the pooja room at home. Plagiarism woes and the songs of my life!